This contest started on 3/20/19. This contest has a winner. * Win A $20 Nonno’s Cucina e Pizzeria Gift Card. Jeff Eats got a $20 Nonno’s Cucina e Pizzeria Gift Card for one of you guys! The $20 Gift Card is good at Nonno’s Cucina e Pizzeria, 7400 North Federal Highway, Boca Raton, Florida 33487, (561) 989-8870. 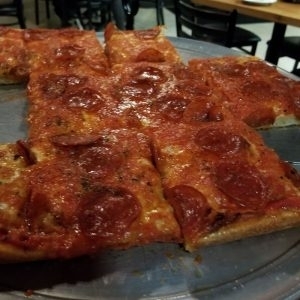 Check menu/prices/info at eatatnonnos.com. ***** Nonno’s Cucina e Pizzeria, 7400 North Federal Highway, Boca Raton, Florida 33487, (561) 989-8870. Got an absolutely off the chart-terrific “mom & pop” red sauce Italian joint for you guys to checkout, Nonno’s Cucina e Pizzeria in Boca Raton. Real simple story…Hole in the wall that serves absolutely dynamite food. Last week- Jeff Eats, Mrs. Jeff Eats, Daughter Jeff Eats and Son Jeff Eats “discovered” Nonno’s Cucina e Pizzeria for dinner and I’m telling you- the joint’s stuff- killed! If you’re a fancy schmancy kinda person, best guess- Nonno’s Cucina e Pizzeria- isn’t gonna work for you! If on the other hand, you’re into no frills “mom & pop” red sauce Italian joints- that serve reasonably priced outrageously delicious food, you now know where to go! Let me wrap-up Nonno’s Cucina e Pizzeria by telling you guys- that it’s open Monday-Saturday 11am-10pm/closed Monday, menu/prices/info at eatatnonnos.com and that it’s an absolute must try! I hope to be picked! I really want to be picked! THIS JOINT SOUNDS LIKE A WINNER. I really must be selected! I hope to be chosen! Would like to try this place. I’d love to be picked! Happy Monday – would love to win! I really thought 5 out of 20 entrees would have been enough to be picked! I think this place closed, and I never got a chance to go there.